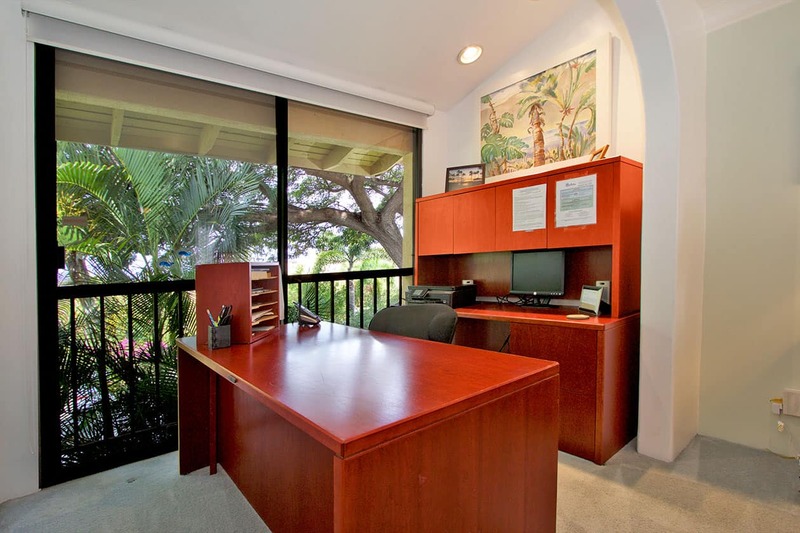 Enjoy our quiet green belt location in mid-village with some ocean views, soaring ceilings and soft light. 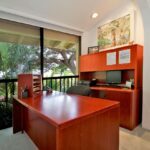 Enlarged bedroom with full office with A/C (15,000 BTU in July 2016). 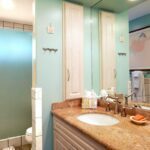 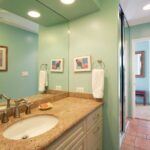 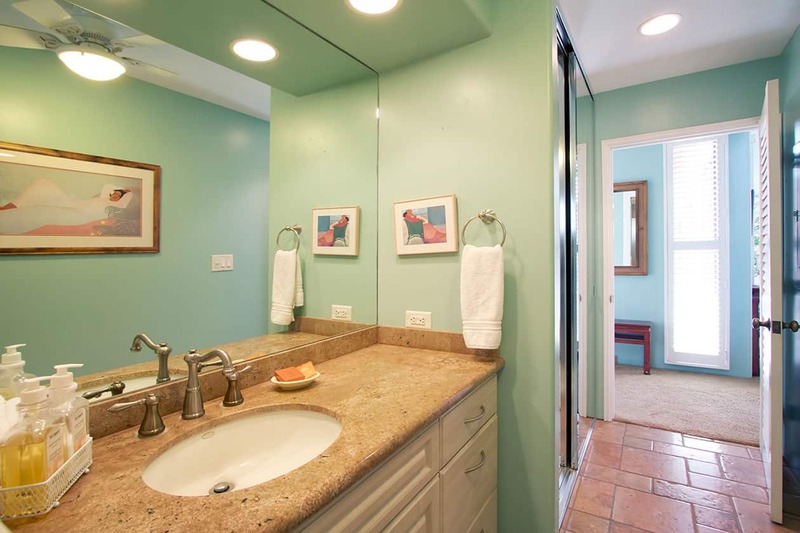 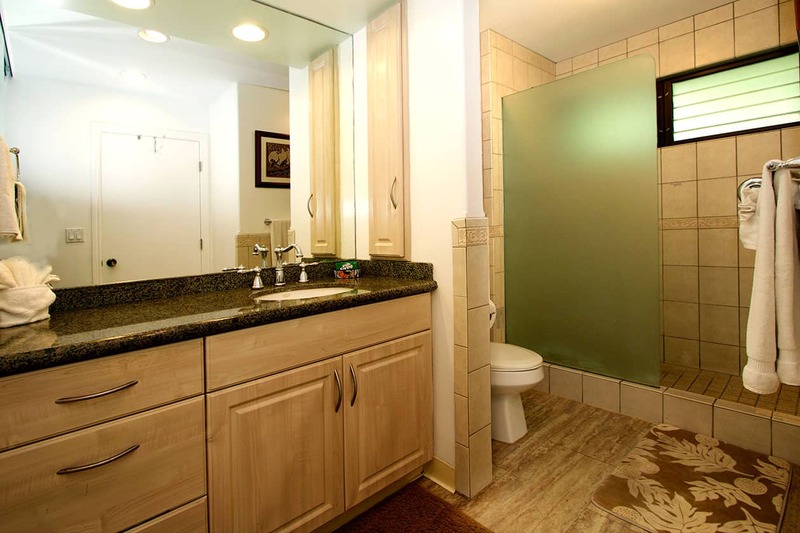 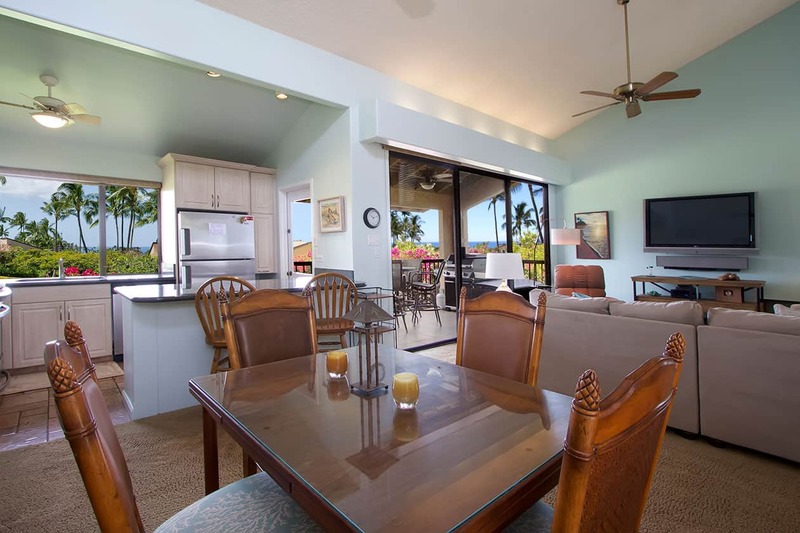 Complimentary WiFi, remodeled kitchen & baths. 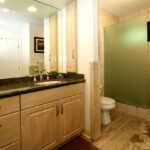 The owners winter here and have added many upgrades. 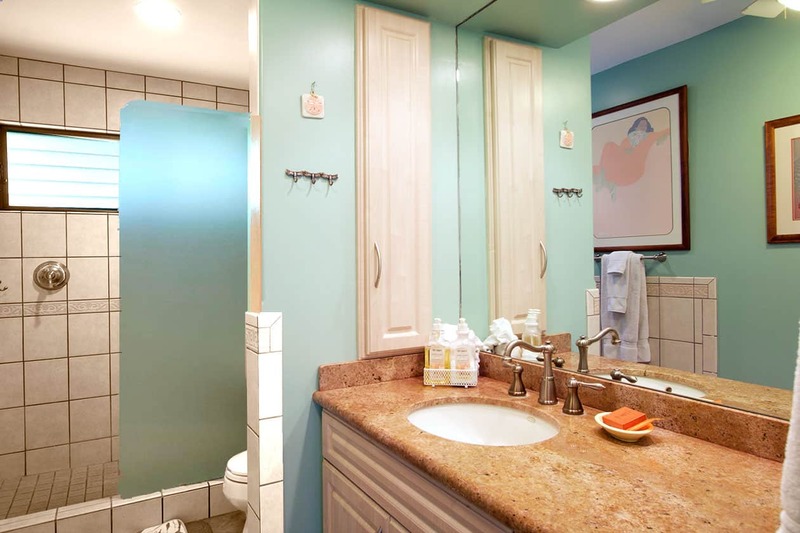 Well maintained & outfitted. 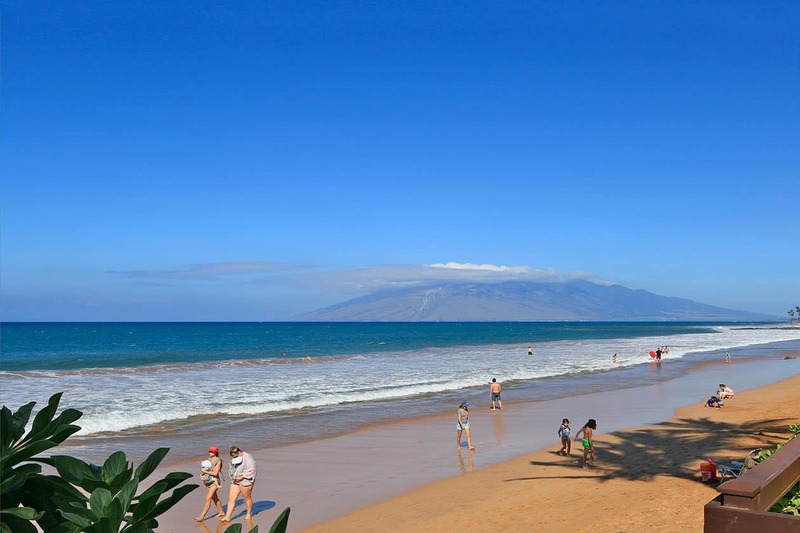 4 minute walk to the sand. 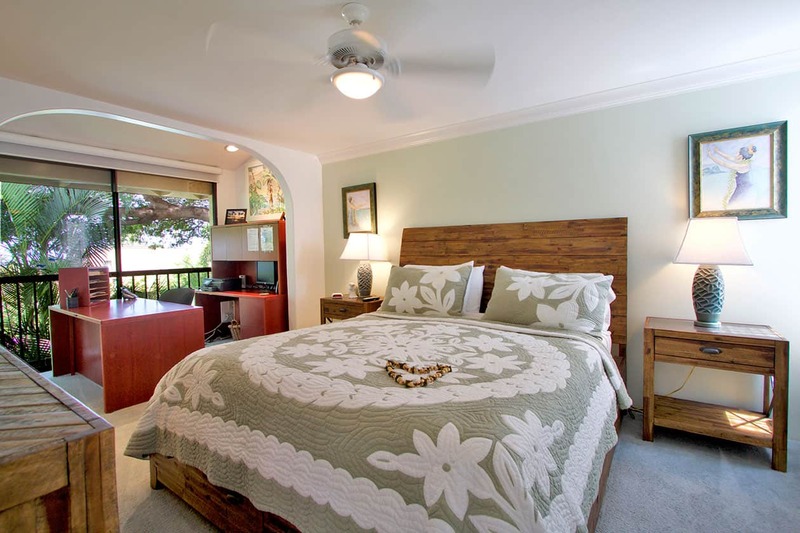 Sleeps 2 comfortably. 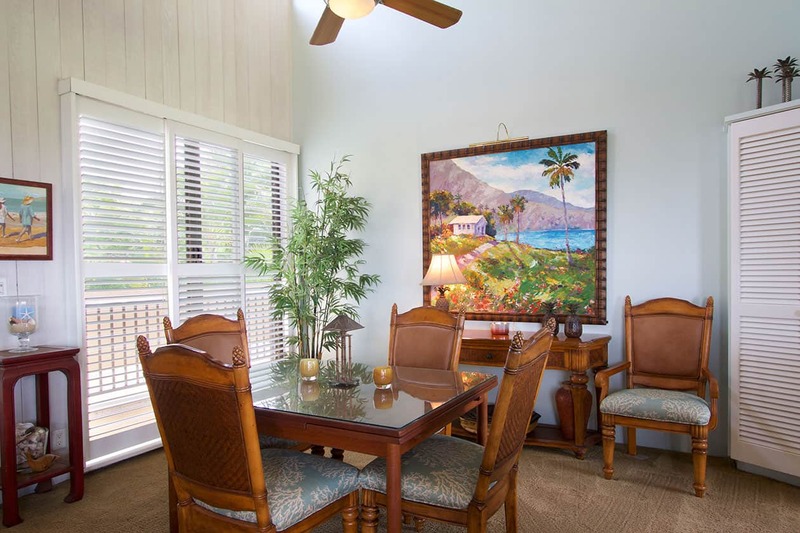 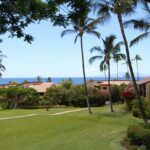 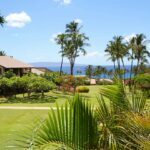 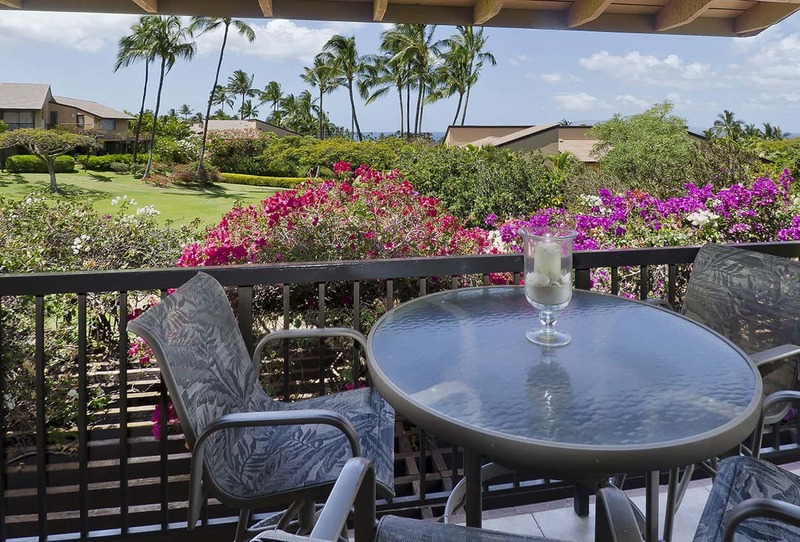 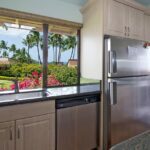 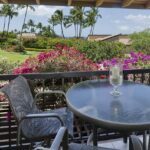 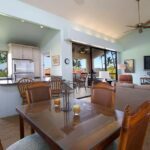 Our lanai in this ocean view Ekahi condo is a special place to view the beautiful sunsets and watch the morning sun rise over the mountains. 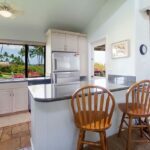 The kitchen is fully equipped with granite countertops and has easy access to the lanai for outdoor dining and an electric barbecue for grilling. 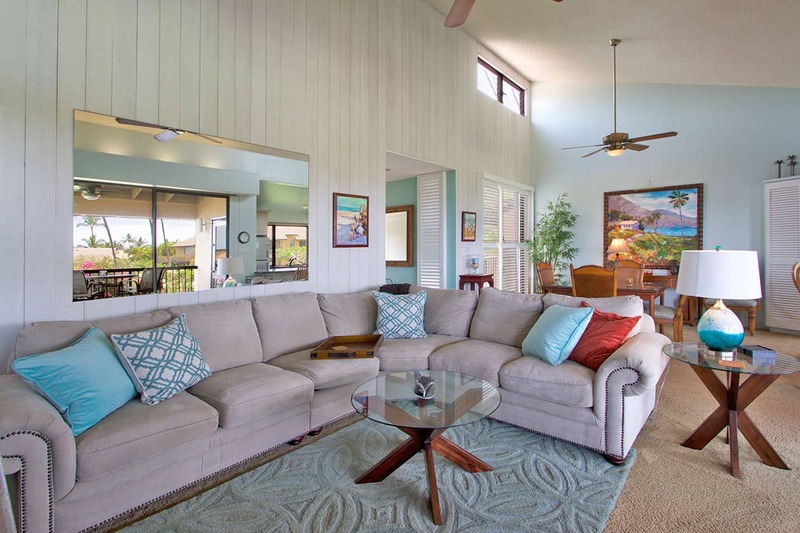 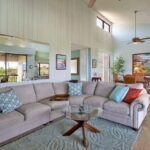 Our living room features soaring cathedral ceilings and includes a large plasma TV with speaker bar, ocean views, a quiet greenbelt location and full access to our lanai. 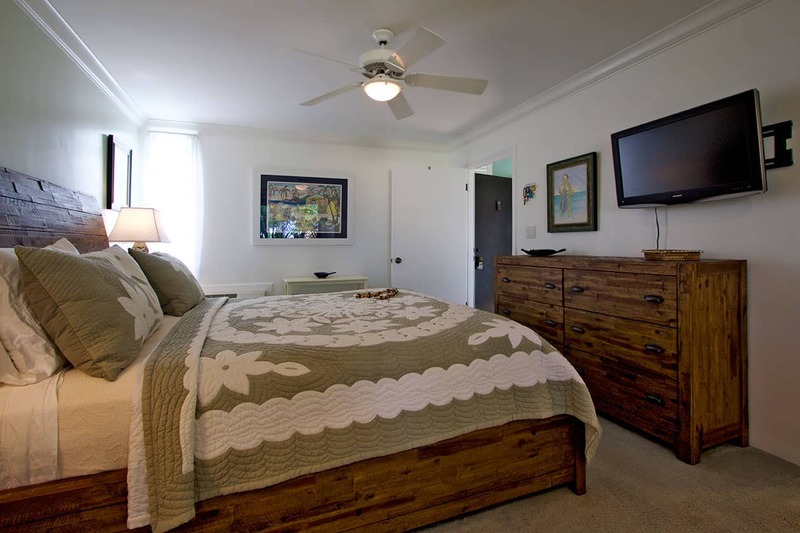 The en suite bedroom has all the comforts of home including a king size bed, A/C (new in July 2016), large bath and closet, an office w/a full desk, computer, iHome for your ipod / iPhone, and complimentary high speed internet. 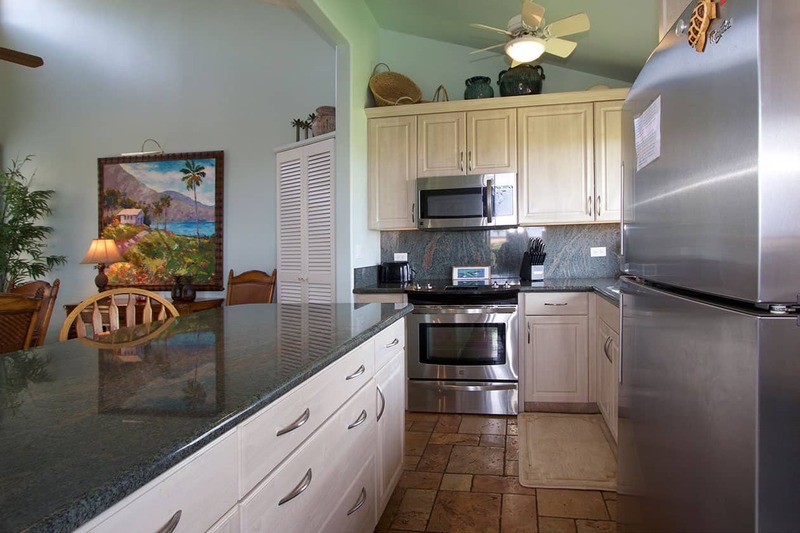 We provide a full size washer and dryer, beach towels, beach chairs and boogie boards. 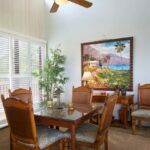 Whether you are visiting for the first time or a return guest, we invite you to relax and enjoy your stay here. 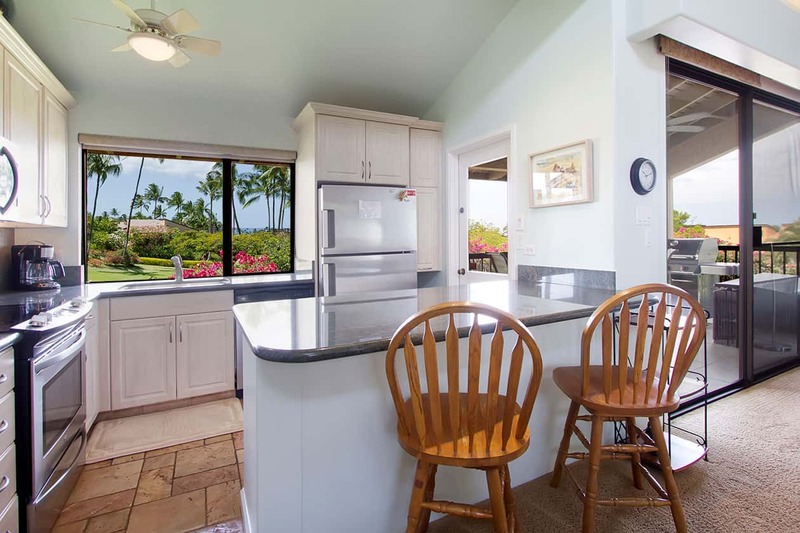 The kitchen is outfitted for all your needs whether it’s just the two of you or you’re entertaining friends. 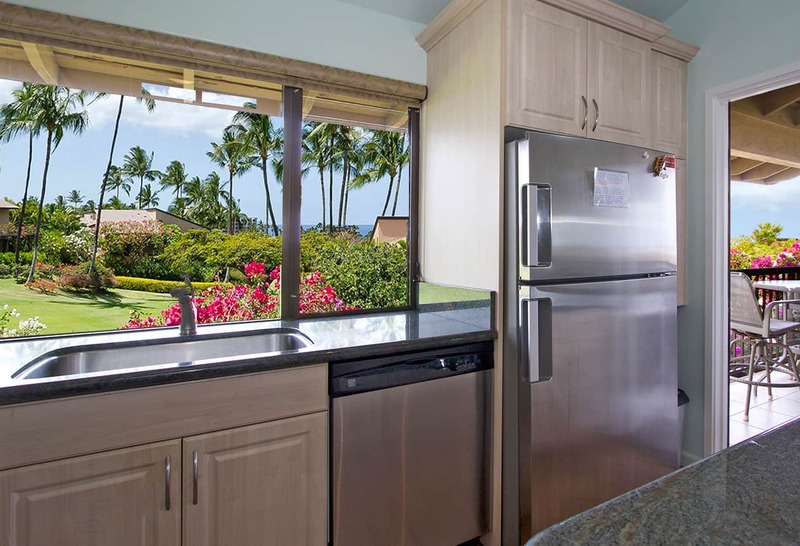 In the past year we have added stainless appliances and new carpeting through out. 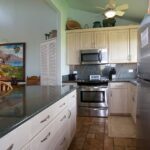 Each year there we enjoy adding something new. 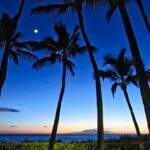 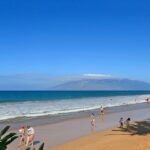 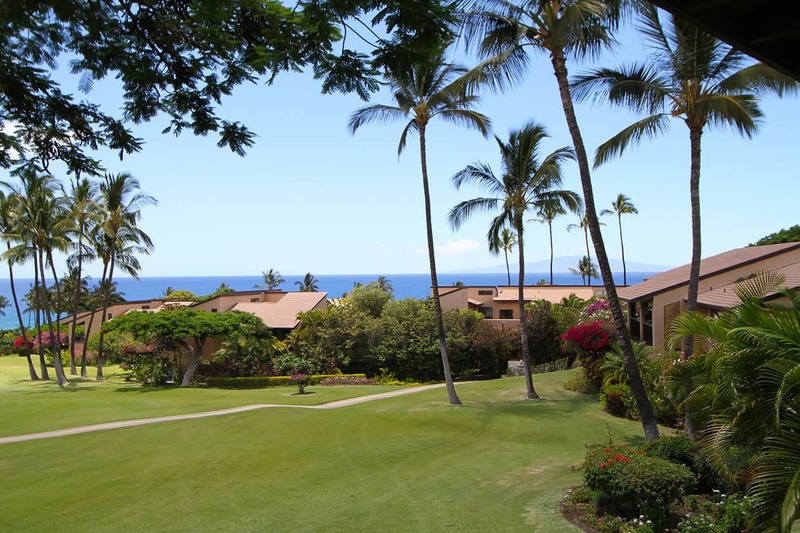 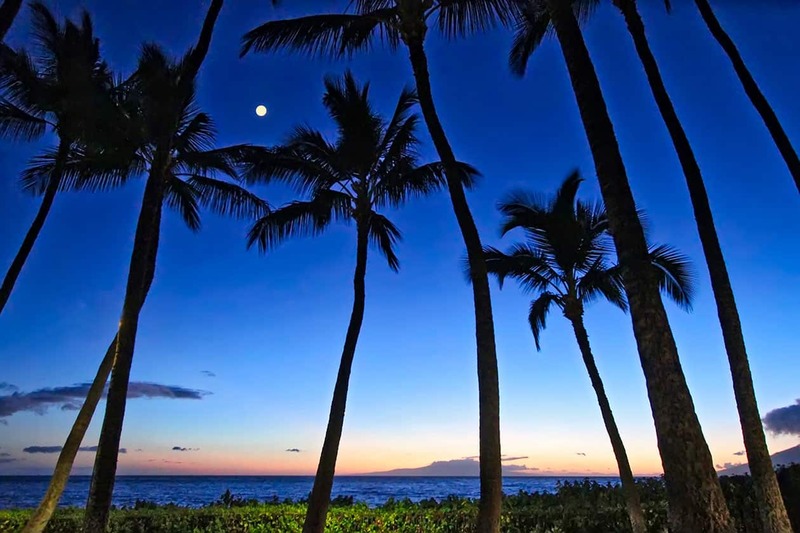 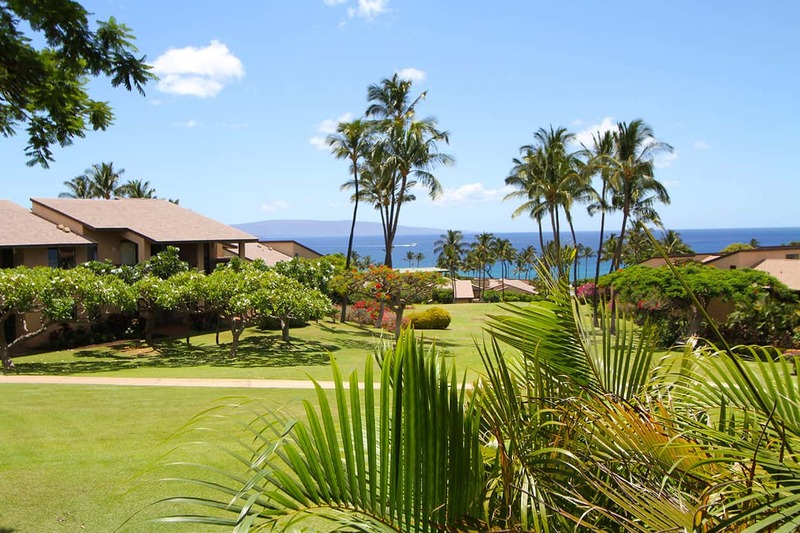 We look forward to sharing our Maui home with you. 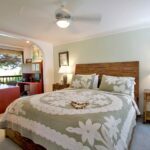 Minimum Stay: 4 nights, 14 nights during Holiday Season.